This is a New Old Stock Heater Control Valve for 1960 to 1963 Chrysler, Dodge, and Plymouth. This part is also correct for 1960 and 1961 Desoto. 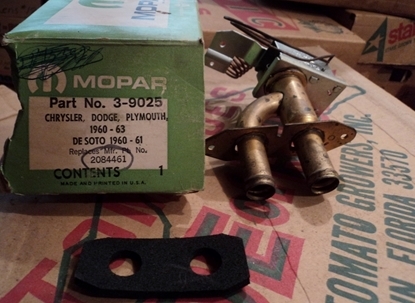 The Chrysler part number for this is 2084461 and the part comes in the factory box.